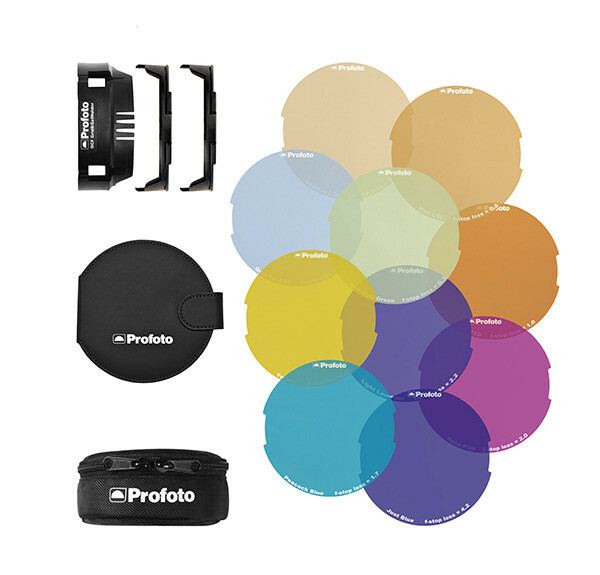 Profoto, the Swedish lighting manufacturer, has announced a new colour filter holder for its Off Camera Flash System. It supports OCF Gels, comprising 20 different filters including 10 for colour correction and 10 for creative effects. Everything has been specially cut to fit Profoto’s B1 and B2 battery flashes, attaching via a “unique snap-on solution” in the form of the OCF Grid & Gel Holder. As the name implies, the holder does double duty as a mounting point for honeycomb grids as well. Colour correction gels – for adjusting colour temperature and tint – include orange (CTO), blue (CTB) and green filters of varying densities to help your flash output better match the light from ambient sources, such as sunlight, moonlight and fluorescent light fixtures. Colour effects gels include Rose Pink, Gold Amber, Light Lavender, Just Blue, Deep Straw, Chrome Orange, Scarlet, Peacock Blue, Magenta and Yellow. You can get the gels as part of an OCF Colour Gel Starter Kit, which includes the gel holder and ten of the “most popular” gels. The OCF Colour Correction Gel Pack includes 20 colour correction filters and the OCF Colour Effects pack features two of each of the ten creative colour gels. Recommended retail prices are €90/$99/£72 for the Starter Kit and €50/$59/£42 for the gel packs. 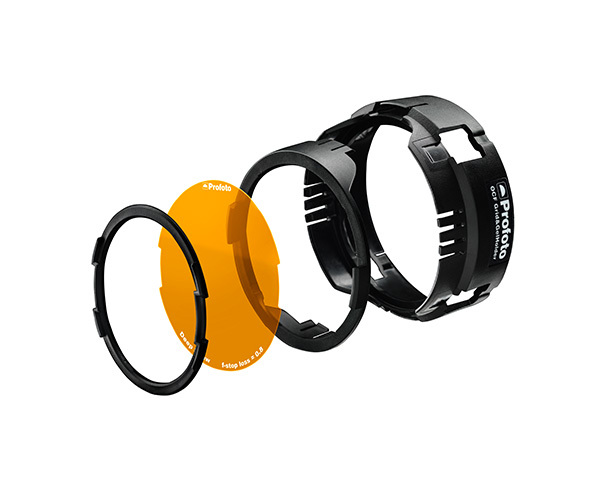 You can order them now from Adorama/B&H (US), Wex Photographic (UK) and other Profoto dealers. For more information visit www.profoto.com/offcameraflash.